To support our children review and embed their skills in the understanding of factors of numbers from 1 - 40, we produced this challenging Math Center to allow the children to work independently, paired or within groups to find the factors, in sequence, to the first 40 numbers. 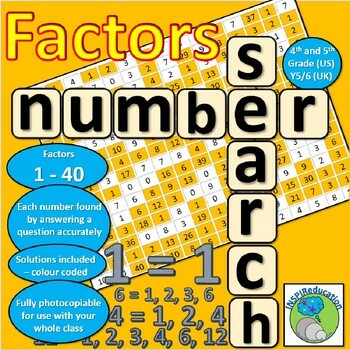 This is a challenging activity and kept our children busy for a long time as they were had to find the factors in order and sequence the numbers correctly. 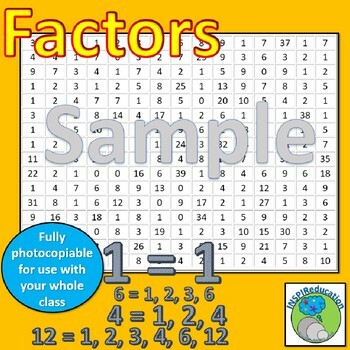 Once the children had completed the factor sheet, they could then scan the number grid to find the answer. Once found, the children could colour in the boxes to show they had the right answer with the correct number and sequence of factors. 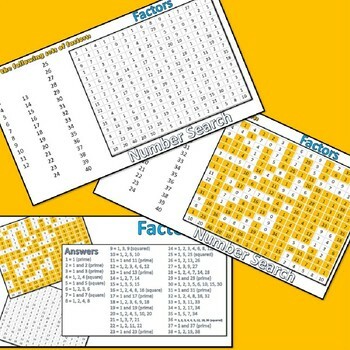 There are 40 "factor families to find within the grid - and many tricks to avoid! The preview shows the worksheet which the children can use. Colour coded identification of where the answers are on the grid. Whilst identified as 4th and 5th grade, 3rd graders may enjoy this activity and stretch their mathematical understanding within number. It may also support Grade 6 and 7 revision math. We hope that you enjoy this resource. 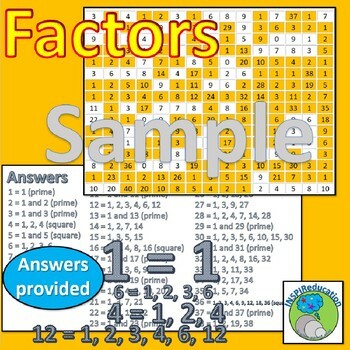 We have a growing number of these resources in our store using a range of different numbers.